Why Are Nigerians Crying Over Indian Garri In Our Country? 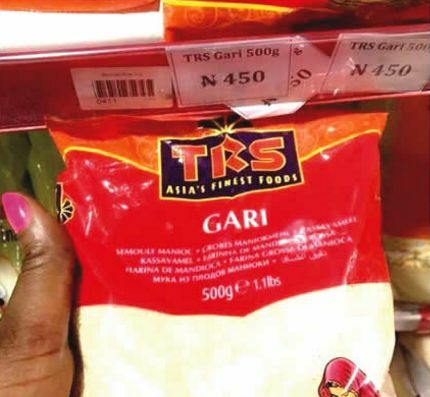 » NEWS » Why Are Nigerians Crying Over Indian Garri In Our Country? Have we not been eating Foreign Rice in Nigeria for ages? Why the fuss on Indian-packaged Garri when it is entirely Your Choice to either buy Ijebu Garri, Edo Garri, Enugu Garri, or you carry own money to buy the so called Indian Garri? The Indians will not come and put their hands in my pocket to force me to buy their Garri, and I so much love Ijebu Garri. So, I'm sorry their Garri in Nigerian market doesn't bother me. Anyone can bring Garri, it's our choice to buy or continue to enjoy our own, which is even better. Title : Why Are Nigerians Crying Over Indian Garri In Our Country?